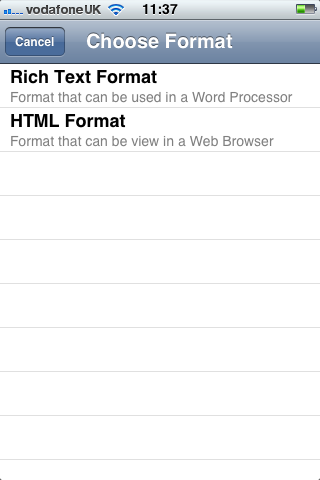 The application only supports those devices that have a camera that can auto-focus (iPhone 3GS, 4 and 4S and the iPad 3). 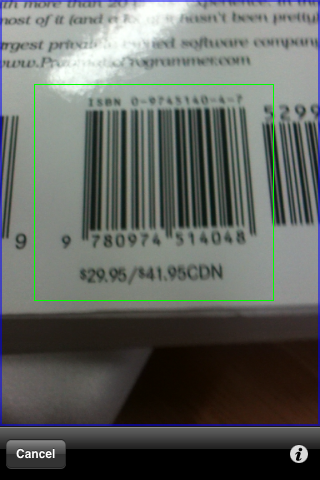 We need a camera that can autofocus for barcode reading. 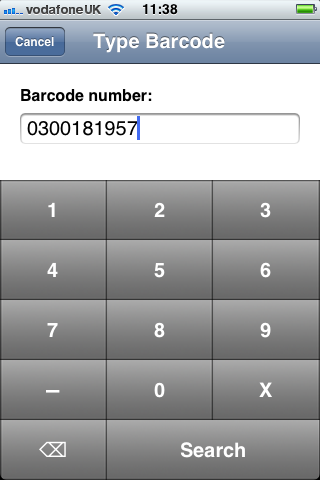 It would be possible to have the application check the capabilities of the device and only have the ‘scan’ option appear if you have an appropriate device. 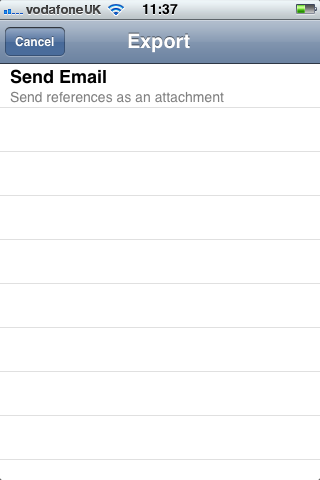 This rest of this post provides a tour of the user interface and the functionality of the application. 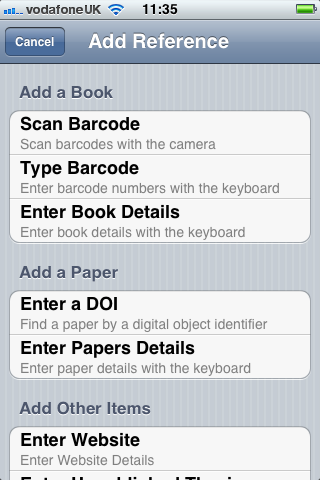 It would be better, in a future version of the app, if the DOI could be scanned in using some Optical character recognition (OCR) technique. 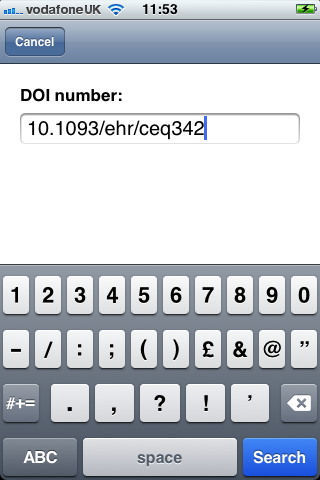 The DOI numbers can be long and have a mix of numbers and characters which are prone to error when submitting on the iOS keyboard. 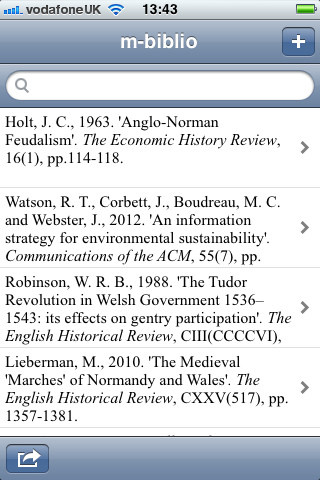 For example, the DOI for J.C. Holt’s article on ‘Anglo-Norman Feudalism’ is ‘10.1111/j.1468-0289.1963.tb01721.x’. At the moment, you can only extract the title of a website. In the future, it would be nice to extract data from meta tags if they are relevant, such as details of authorship. The preferences for the panel allows you to choose which reference style should be used for displaying references within the application. 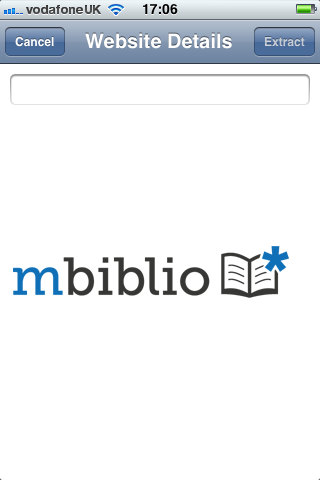 It also allows you to determine what information you are willing to share with the m-biblio service: (1) a unique identifier for the app; (2) the details of the captured items, i.e. 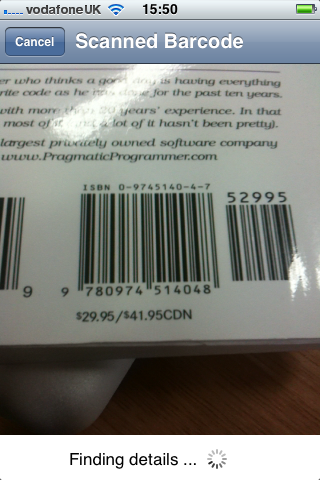 the barcode or DOI number; (3) the type of device you are using (iPhone, iPad etc.) and which version of the operating system. 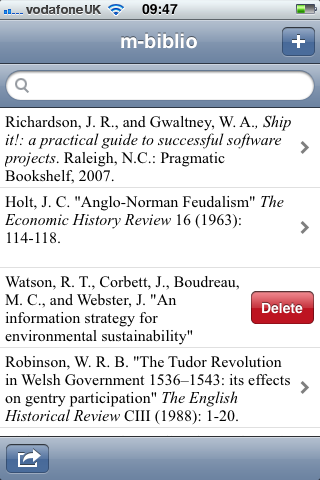 The ability to manage references within collections. 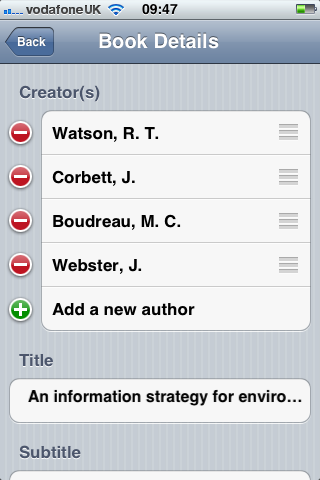 For example, you might have a collection for each assignment or task. Support for Endnote – it is vital that you can export your references to existing bibliographical material. 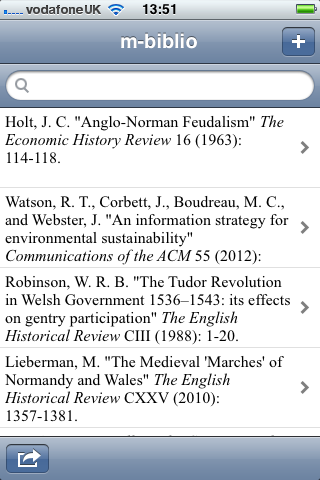 More citation styles need to be supported and the ability to tweak the ones that are supported. 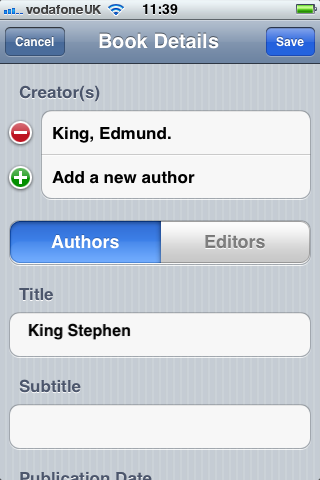 For example, how many authors should be listed before et alias is used. We support books, but not chapters within books. 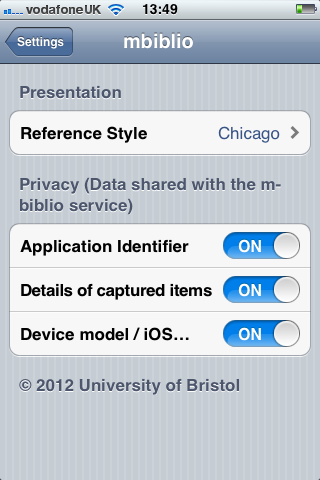 Posted in m-biblio, mlibs, User Experience, User Interface and tagged iphone, mbiblio, user experience, user interface on 2012/07/16 by Mike Jones. Stuart Church (@stuchurch) of Pure Usability is helping with the student engagement and the user experience aspects of the m-biblio project. Using Bristol Online Surveys, Stuart recently ran a survey of University of Bristol students with some questions on creating bibliographies. There were 67 respondents that covered a range of disciplines and degree schemes, including undergraduates, taught postgraduates and research postgraduates. Ten of the students then joined a two hour workshop to further investigate the journey they make in creating bibliographies and to identify the pain points. It also examined how mobile devices might be used in the process of capturing and managing citations. We will provide a detailed report on the workshop in a future blog post, but I thought it would be useful to provide the responses to the original survey. 1. Approximately how many references do you usually put in your essays? 2. 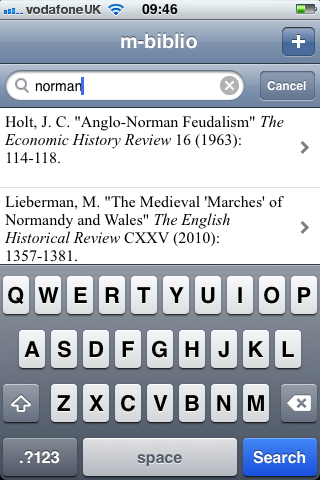 What tends to be the approximate ratio of books to journal articles in your reference lists? 3. How do you usually find your references? For other, respondents included “a mix of the above”, “academia.edu”, JSTOR, “reference list from other journal articles” and “using bibliographies from relevant books”. 4. Where do you store your references? For the “other”, there was a single comment: “When online, I bookmark them”. 5. What’s your biggest frustration about managing references? 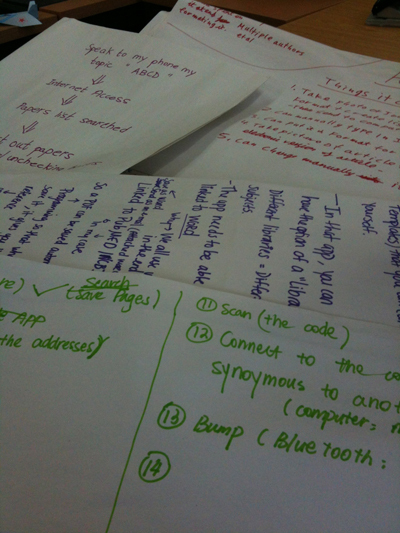 Different lecturers have different preferences for style of referencing, so its difficult to know what style to choose. 6. 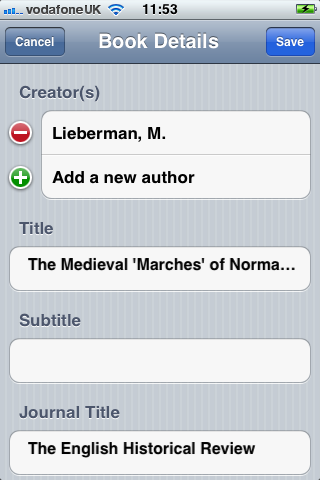 If you could design a simple piece of software to help you manage your references better, what would it do? 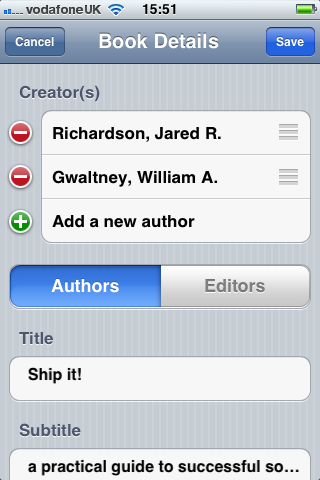 Shape the references into the same referencing system. 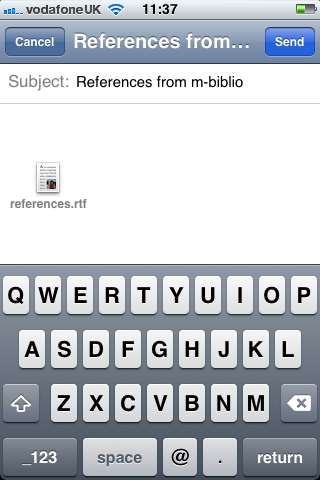 Posted in m-biblio, User Experience and tagged bibliographies, survey, user experience on 2012/03/26 by Mike Jones.